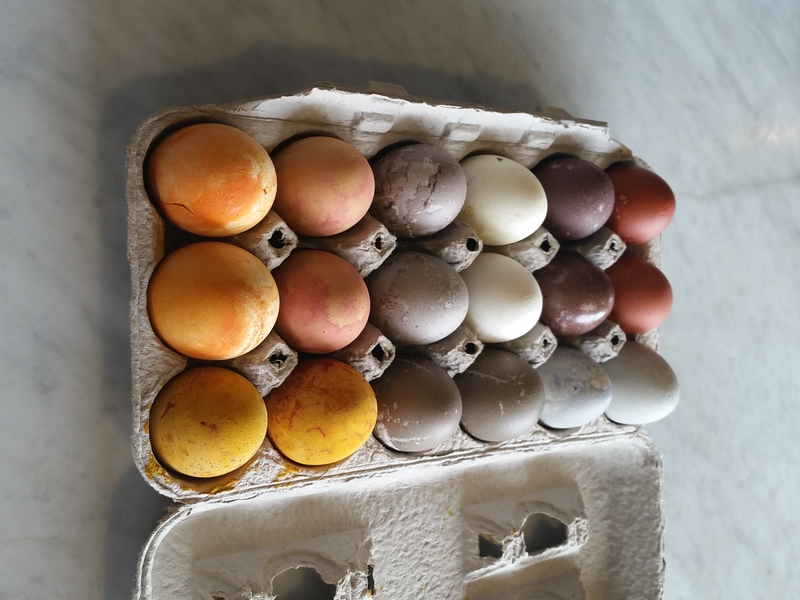 This is what happens when a girl who celebrates Passover is assigned to test natural egg dyes for Easter at work. I lovingly call the results of this project “50 Shades of Grey”. What do you think? To me, these eggs are quite beautiful. Ranging from lightest, barely-even-there grey (from spinach) to a really dark, stone-like grey of grape juice. If first hollowed, I would happily keep these eggs forever, perhaps displayed in a large glass jar or a shallow bowl. The beauty of this project is that it can be done at any point with the items you are likely to have on hand in your kitchen and pantry. Here, I used paprika, turmeric, grape juice, spinach (unsuccessfully), tea bags and onion skins. The methods vary depending on the source you use. There are cold-overnight methods. There are hot-quick-and-easy methods. You decide what works best for you. Here, I boiled the color agent in water with white vinegar and then submerged boiled eggs into the solution and simmered for about 30 minutes. Do you see the splotchy, blotchy, imperfection in the color? To me it’s beautiful. If you are looking for a more perfect, even color, I’d suggest straining the color agent first and simmering the eggs in the dye with the vinegar. I am a fan of the matte look. 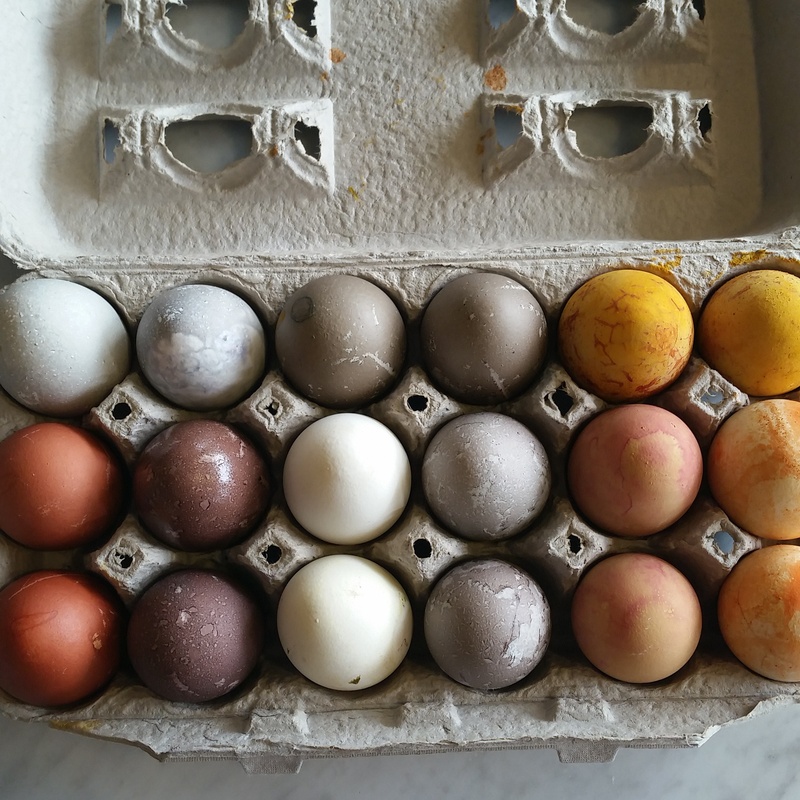 For a shinier, happier exterior, rub the dyed eggs with a little bit of vegetable oil.